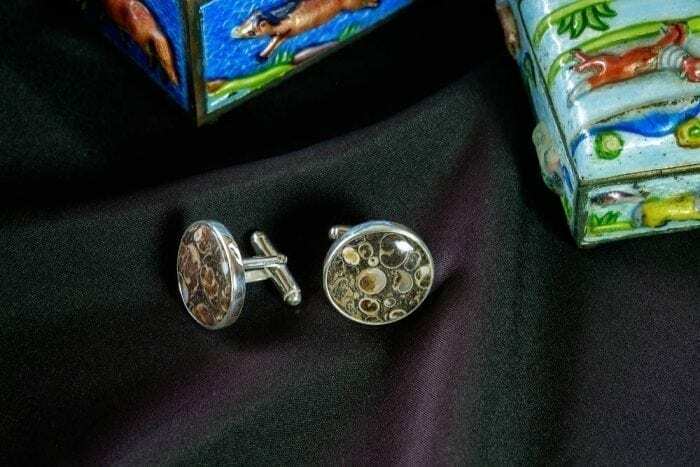 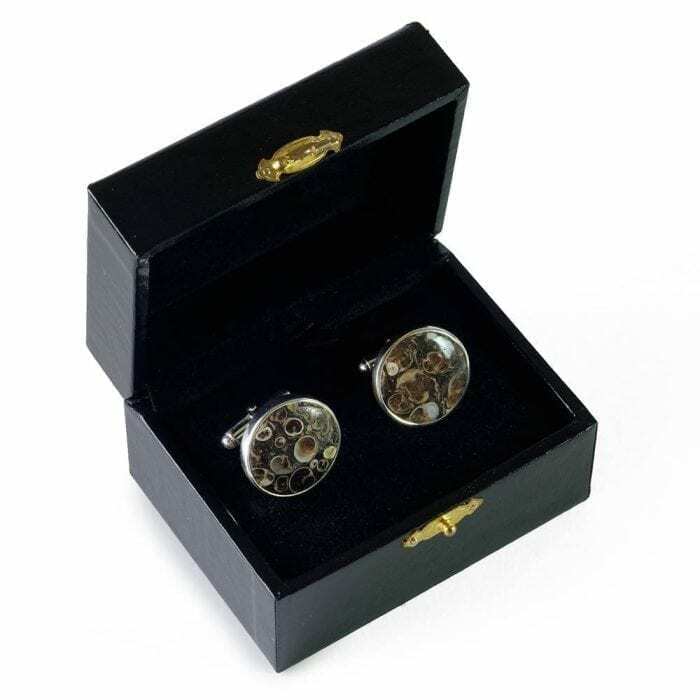 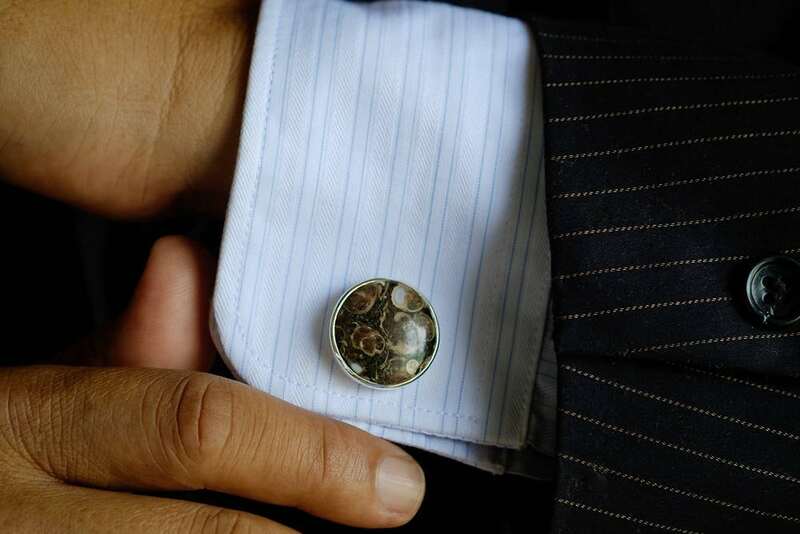 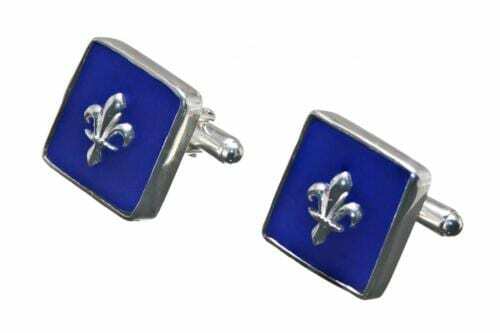 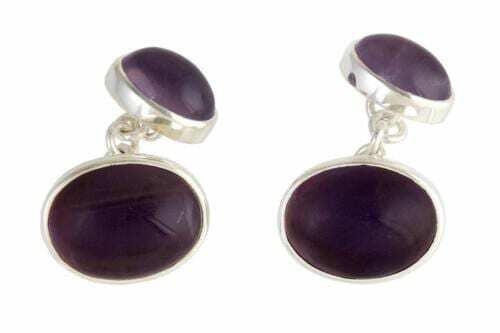 Interesting and impressive Regnas Cufflinks…Great gift! 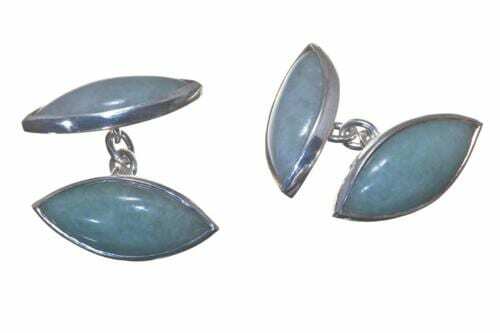 Rare Fossil oval swivels formal cufflinks beautiful and useful…traditional size. 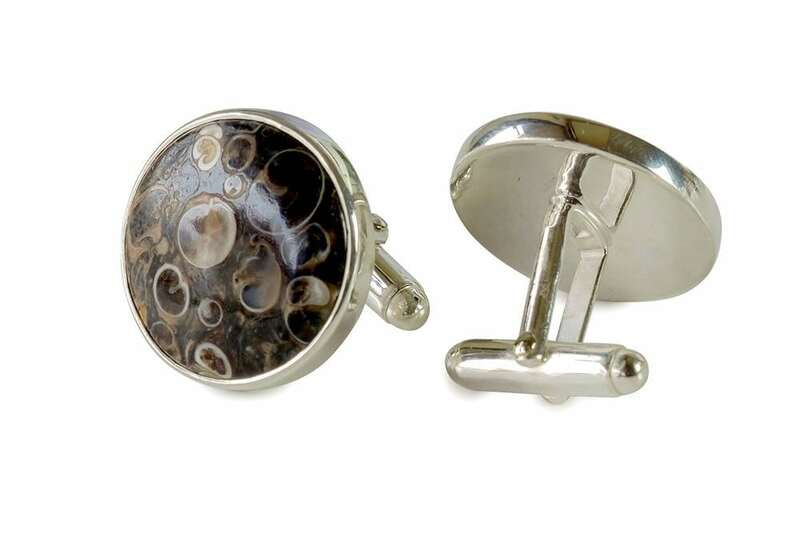 Fossil cufflinks, refined and traditional ovals of high quality mounted to sterling silver Swivels. 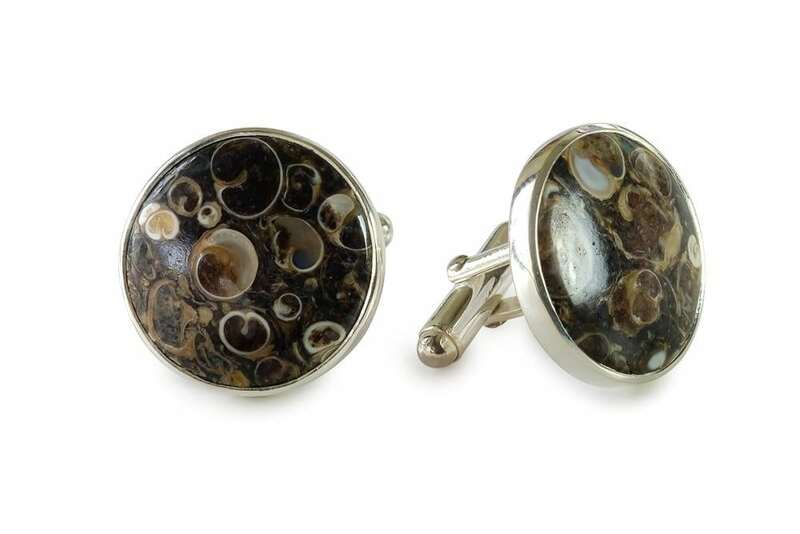 Each piece of hand crafted high quality fossil is cut from the same rock to give matching colors of this distinguished mineral stone. 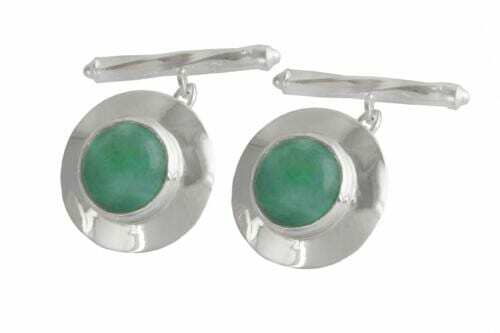 Each roundel cut gemstone measures 20 mm (25/32 inch) attached to a swivel that threads easily through your cuffs.